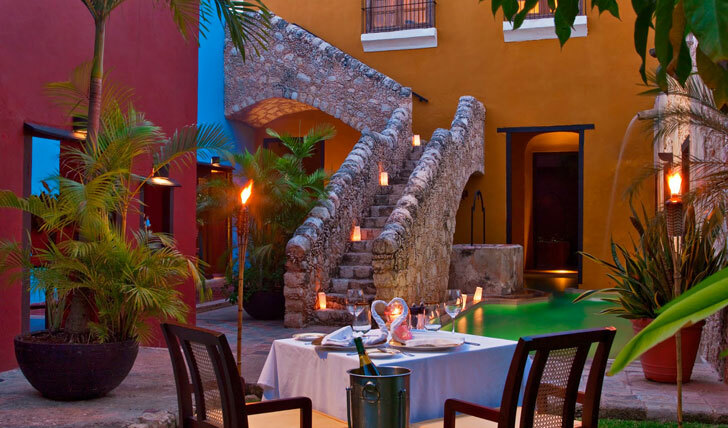 Live like Mayan royalty in this fabulous hacienda hotel. Mixing Mexico’s rich cultural heritage with modern creature comforts, the Starwood Collection have created a luxury haven in its Campeche property. Teetering on the edge of the Gulf of Mexico, the historic city of Campache is one of the Yucatan’s lesser known treasures. The UNESCO World Heritage site has been beautifully restored to its former colonial glory and hours can be spent wandering its cobbled streets. 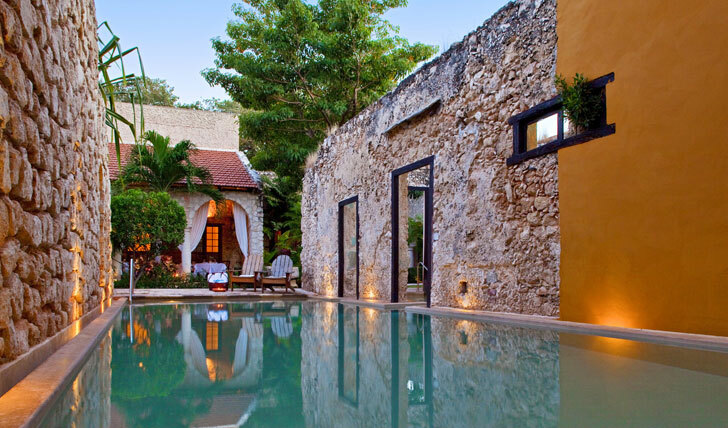 The Hacienda Puerta Campeche lies just three miles from the Campeche International Airport, with all the ancient Mayan ruins, lush forests and beautiful cenotes of the Yucatan region on its doorstop, just waiting to be explored. Each of the charming 17th century houses that make up the hotel have been lovingly restored to give that authentic hacienda feel. The walls burst with colour with pink bougainvillea peeking out of secret alcoves and rooms in shades of deep yellows and burnt orange. Decorated with traditional features such as exposed beams, tropical hardwood cabinets and thick mahogany doors—the rooms make the perfect Mayan sanctuary. Here you can kick off your shoes and pad along the cool tiled floor to find your bed sprinkled with flower petals. You really get a flavour of traditional Mexico here but our favourite feature of this hotel is the pool. Flowing from room to room is a serious of turquoise pools that lie invitingly throughout the hotel. To tempt you further, cotton-woven hammocks swing lazily above so that after your leisurely swim you can nap Mayan-style.